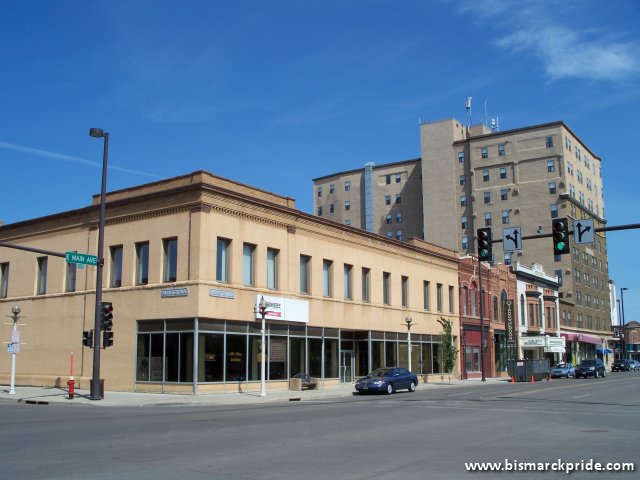 Building in foreground was constructed in 1913* to house City National Bank. F.W. Woolworth later occupied the building until relocating to Kirkwood Mall in 1971. It then housed Goldies Furniture for some time. Today it houses Amish Country Furniture. The Patterson Hotel is clearly recognizable in the background. The row of building between were all built in or around 1905-1906.